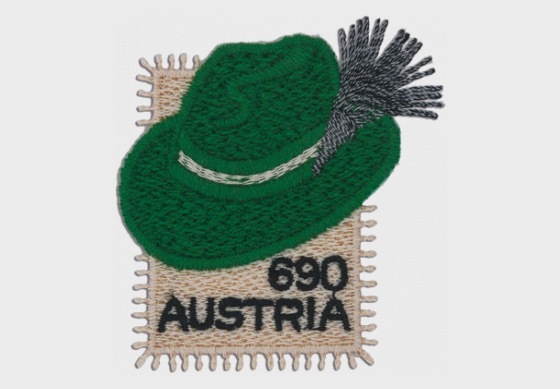 A completely new take on the classic Styrian hat: as an embroidered stamp it constitutes a philatelic highlight and represents an exciting combination of Austrian tradition and innovation. The Styrian suit was already a popular item of clothing in Styria in the 19th century. A famous wearer of the Styrian suit was Archduke Johann, who used it to demonstrate his connection to the common folk. In this way the rural costume found its way into noble and bourgeois society as the clothing of choice for keeping cool in the summer and for hunting. The grey loden jacket with its dark green trim is traditionally accompanied by a Styrian hat. This is primarily manufactured from dark grey or dark green woollen felt or animal hair; the hat band islikewise usually dark green and is decorated with a “Gamsbart” (made from the greyish black hairfrom the neck of a chamois buck) or feathers. The traditional Vorarlberg company Hämmerle & Vogel, with its headquarters in Lustenau, has been in the business of embroidery for 60 years. International clients such as Chanel and Oscar de la Rentarely on the company’s expertise. 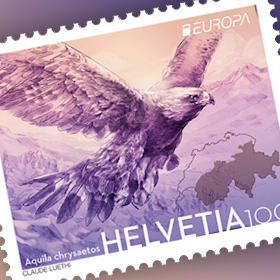 Austrian Post's philatelic programme deliberately draws repeatedlyon technical innovations: the Dirndl stamp from 2016 was the first embroidered stamp to be issued, and the current Styrian hat stamp is the logical continuation. 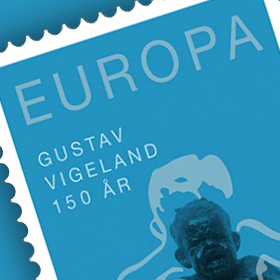 Every Styrian hat stamp takes around 6,600 insertions of the needle and 33 metres of embroidery thread to make. The hat, in the special “Styrian green”, is made of exclusive merino sheep’s wool thread produced by the company Schoeller from Hard in Vorarlberg. This “Shaminah” merino woolthread impresses with its 14.5 micron wool fibre, the finest and highest grade of wool fibre thatexists. The sheep’s wool used for this comes from a number of Australian farms which have been awarded “Bluesign” certification for their sustainable textile production. The gamsbart decoration ismade of two twisted black and grey threads. The hat is affixed to an ecru background with guipure lace perforations. Together with the dirndl stamp and the Alcantara leather Lederhosen stamp, the Styrian hat stamp bears witness to the importance of traditions in fashion within Austria.